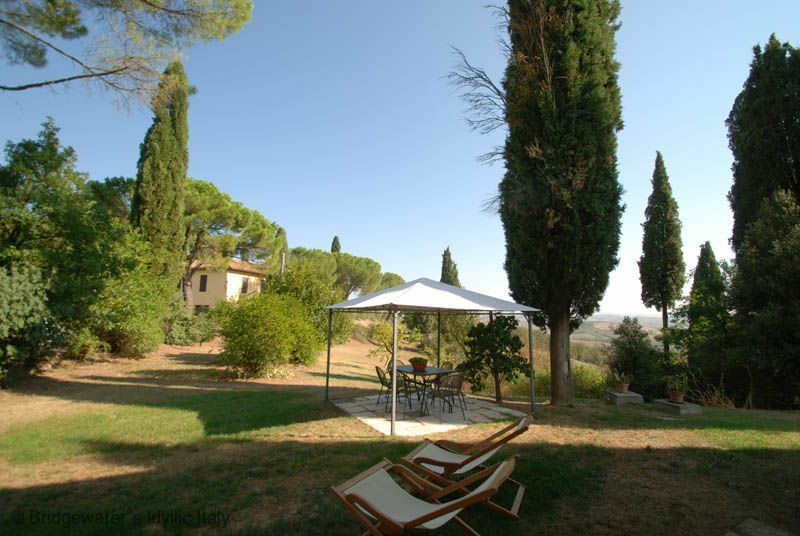 An independent villa with private garden and swimming pool, set on a hillside with far reaching views over the surrounding countryside. 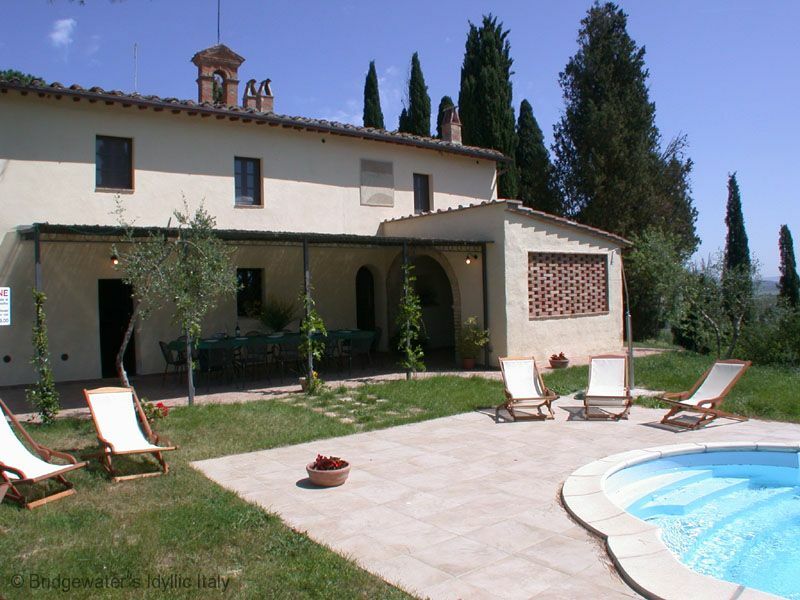 This sunny villa has been recently restored to a high standard and is located in the middle of a cereal making estate. 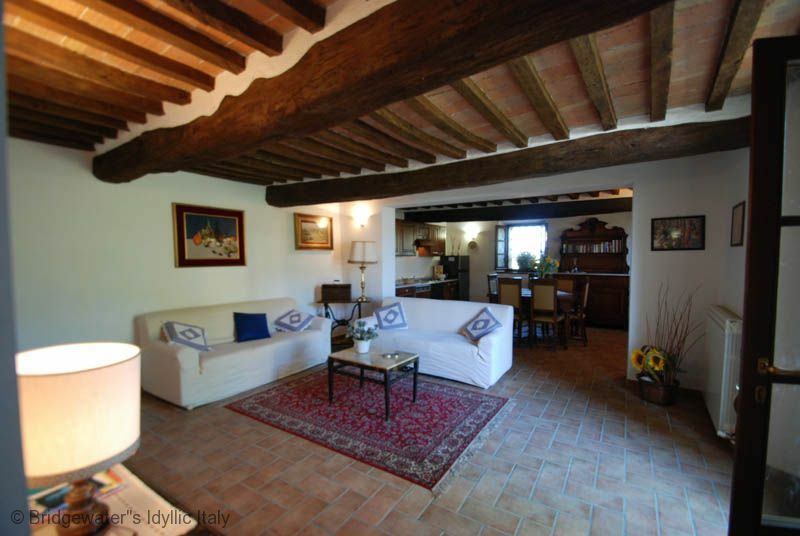 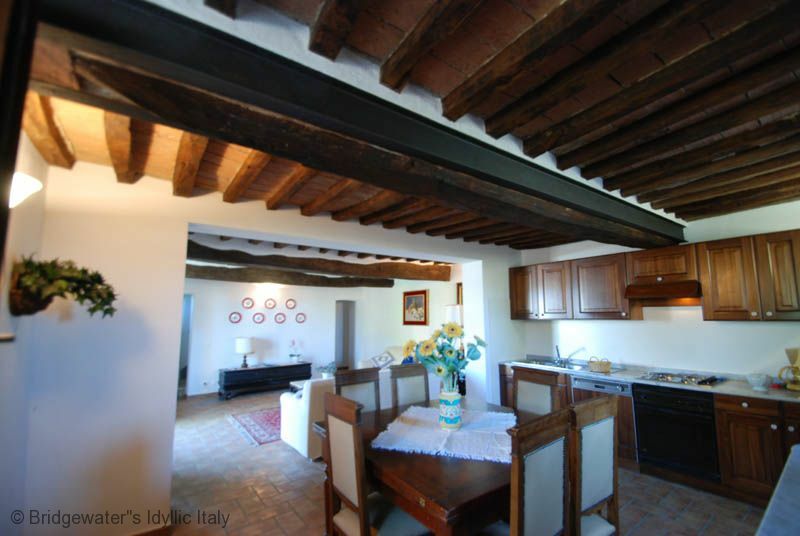 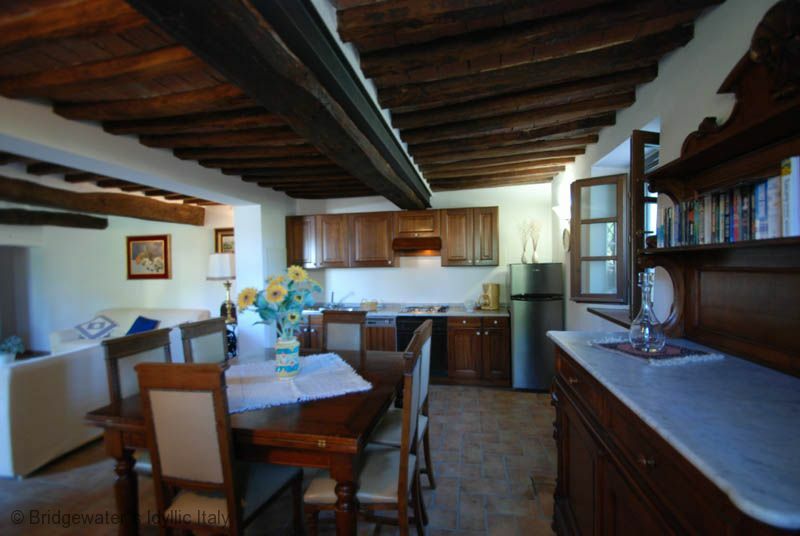 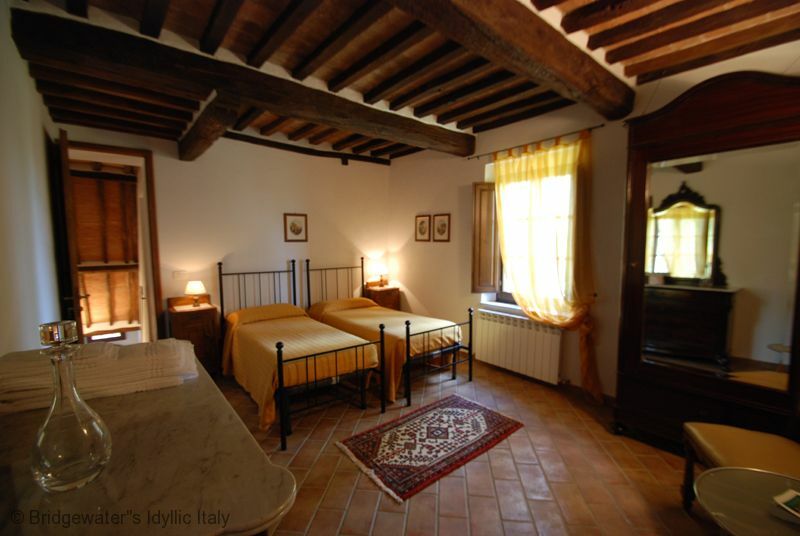 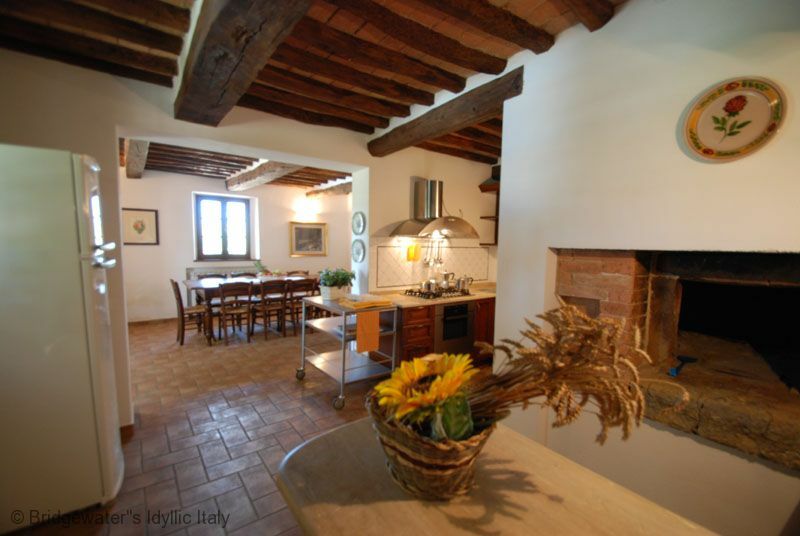 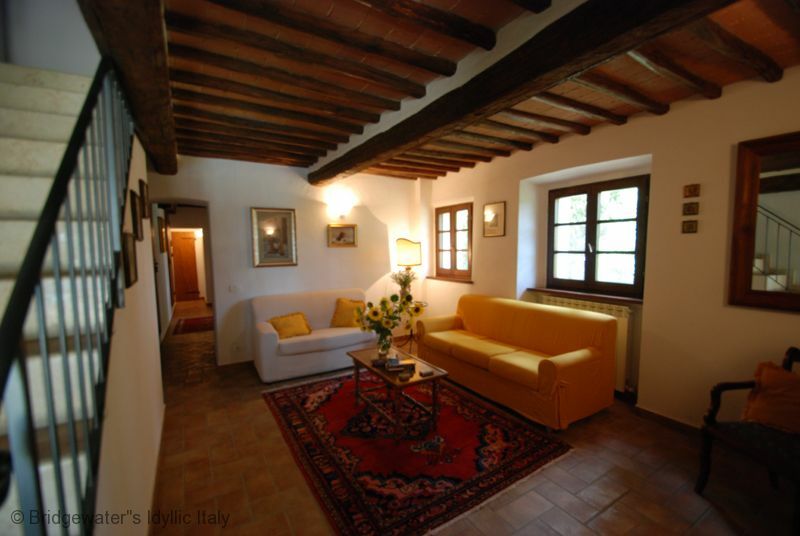 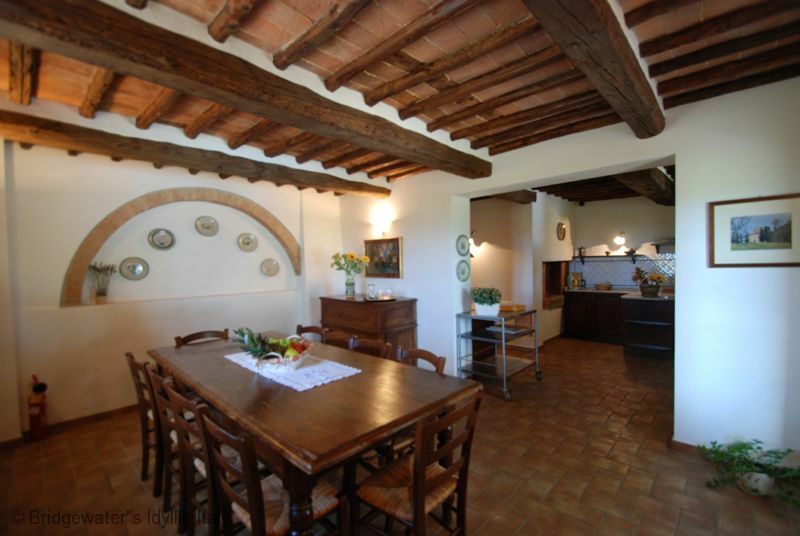 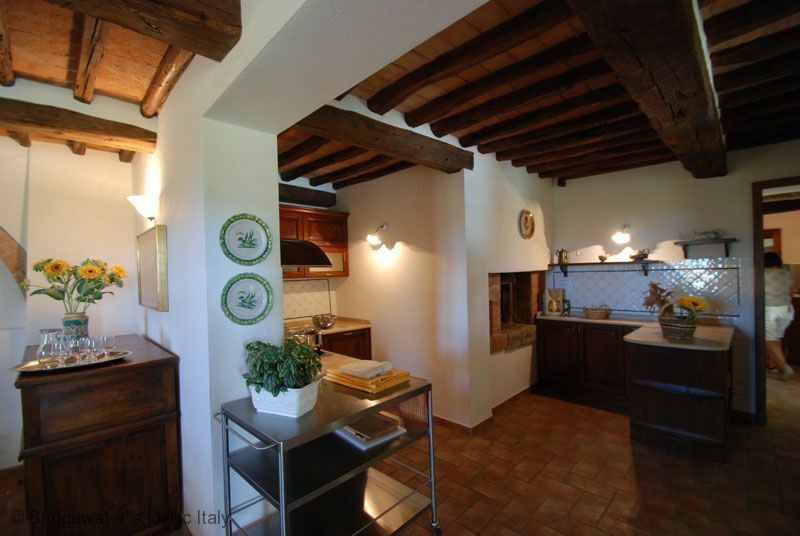 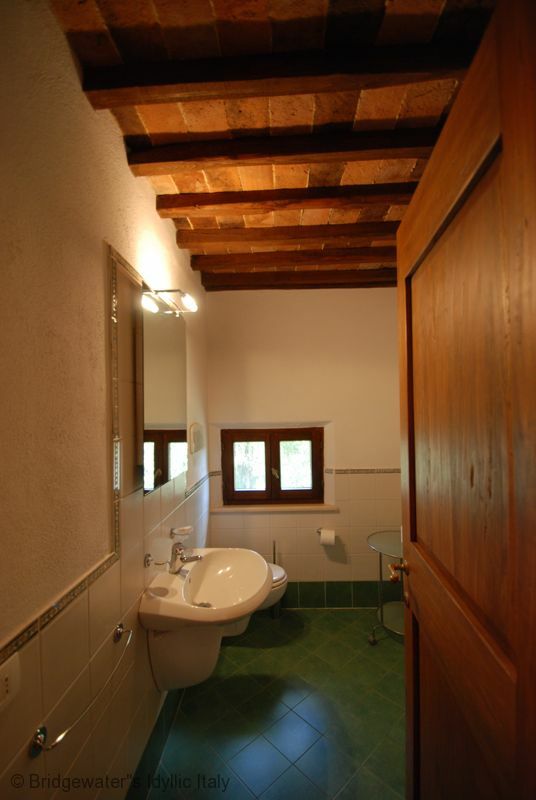 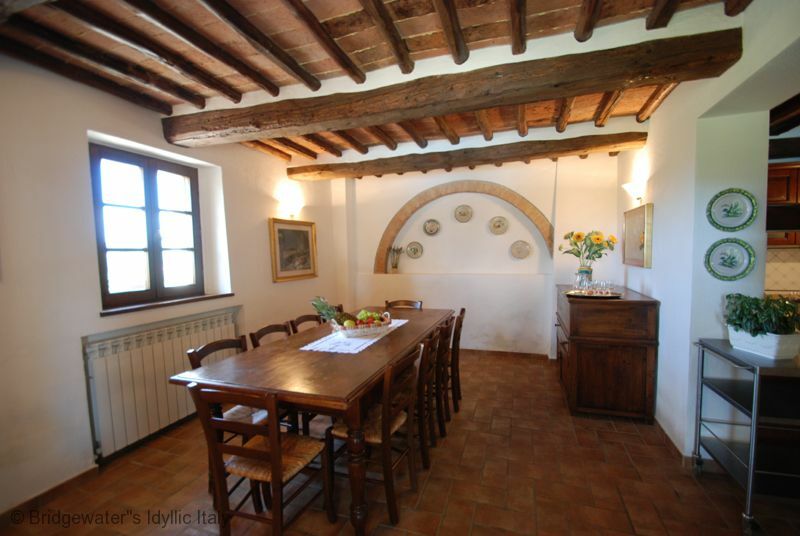 Ideally located in the heart of beautiful Tuscan landscape only aprox 20 Kms South of Siena. 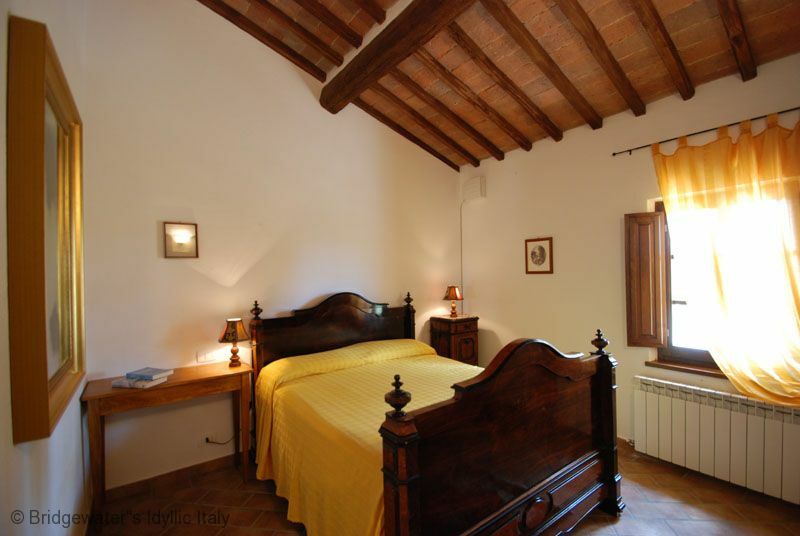 3 Km from Vescovado di Murlo with its shops, bank, restaurants and bar and 6Km from Monteroni d'Arbia. 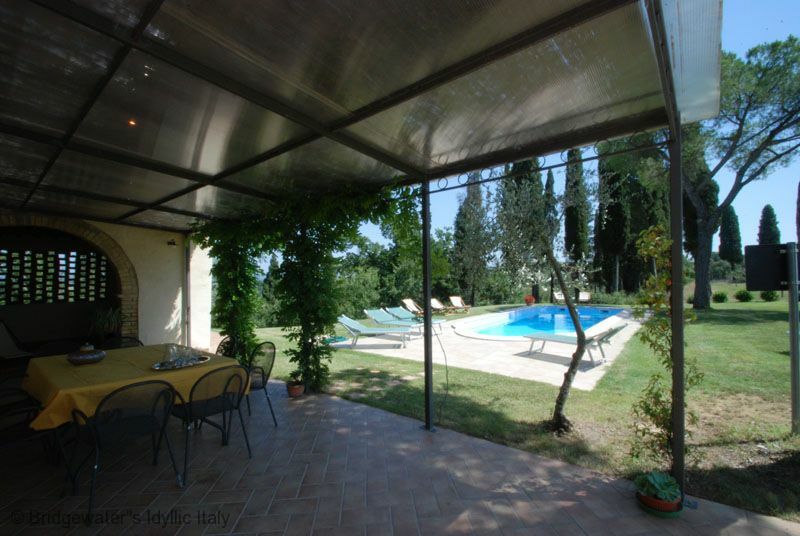 There is another independent villa within walking distance of Villa santo stefano but these two villas are completely independent and can be rented to two different clients or one large group wishing to stay together. 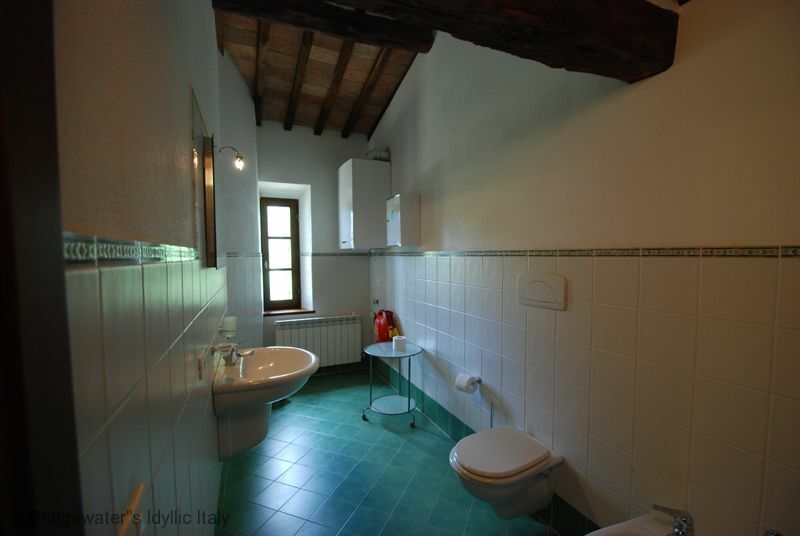 The house is attached to the charming Chapel of Santo Stefano. 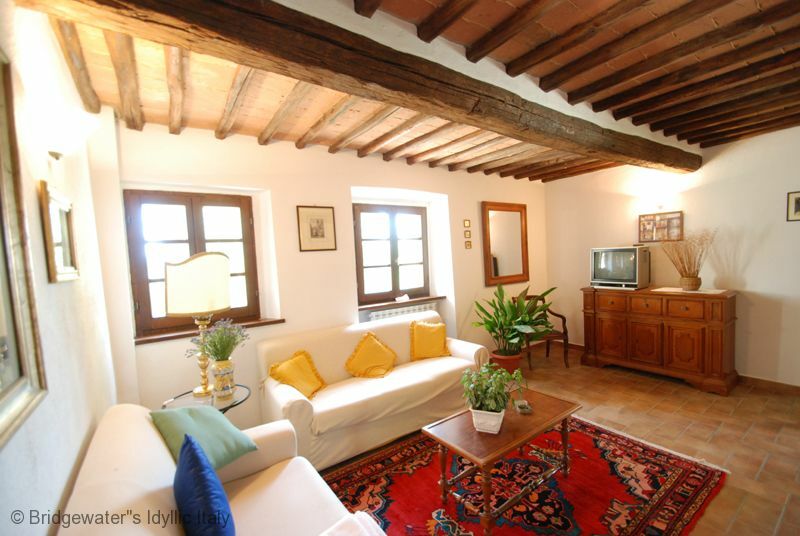 The villa is extremely comfortable and pretty, divided on two floors. 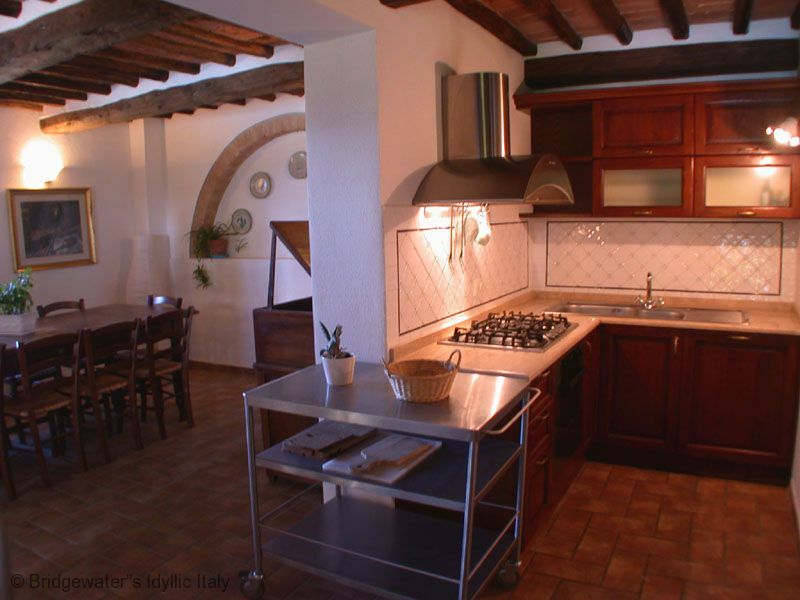 Ground floor with large living room, tv room, a toilet with washing machine, kitchen equipped with oven, fridge, cooker, dishwasher) and typical wood oven. 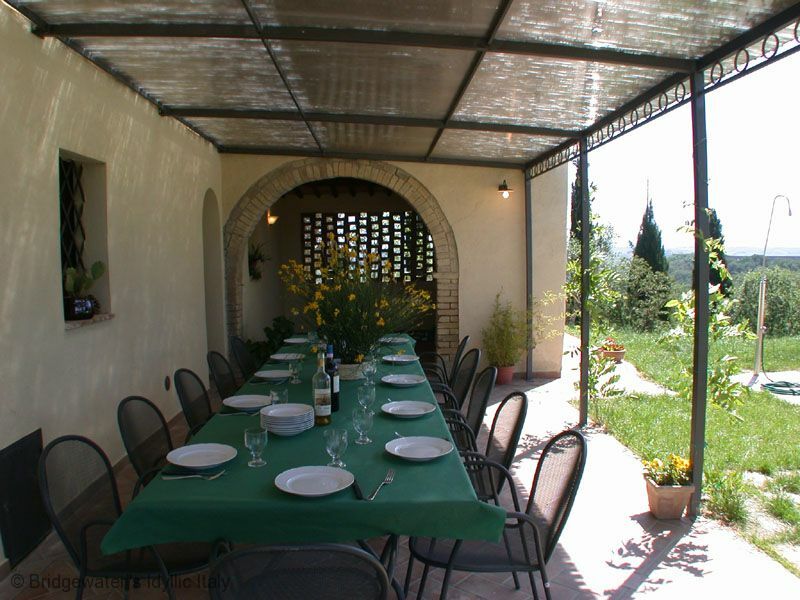 From the kitchen and from the sitting area doors open to the garden and the patio equipped with table and chairs for dining out. 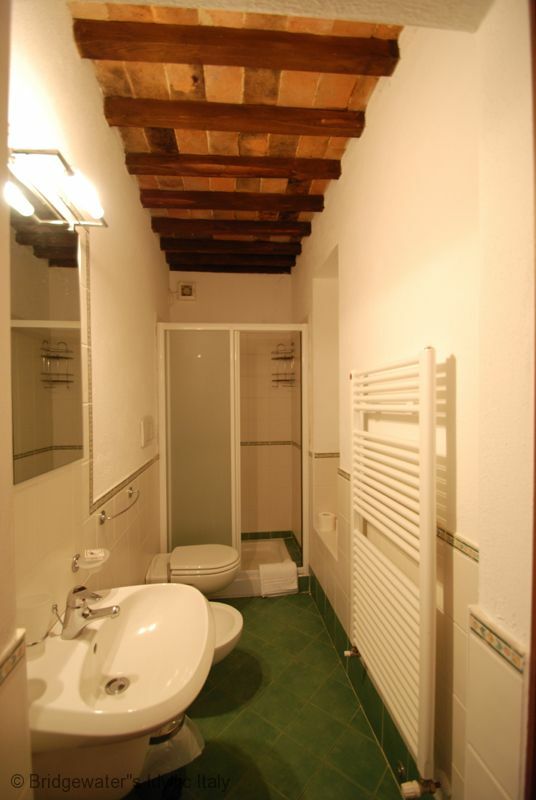 On the ground floor there is a double bedroom with a queen size bed with ensuite shower bathroom. 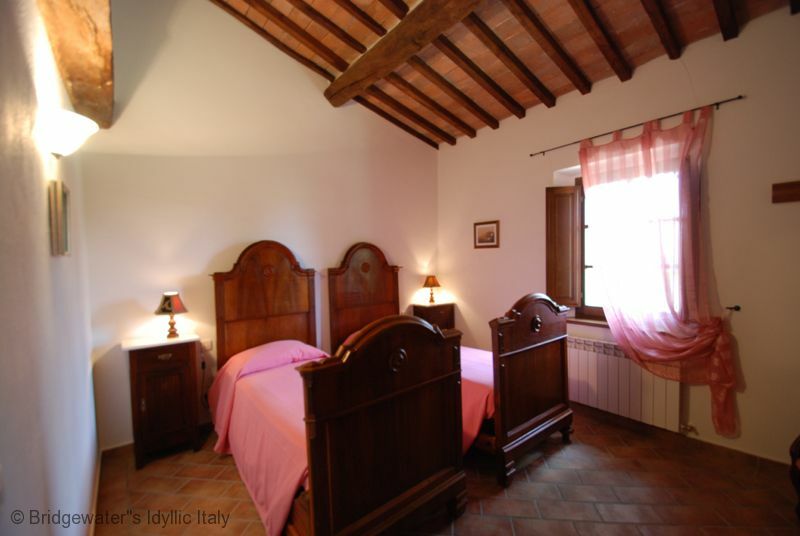 On the first floor there are 6 bedrooms (3 twins and 3 double bedded rooms) and 3 bathrooms with shower. 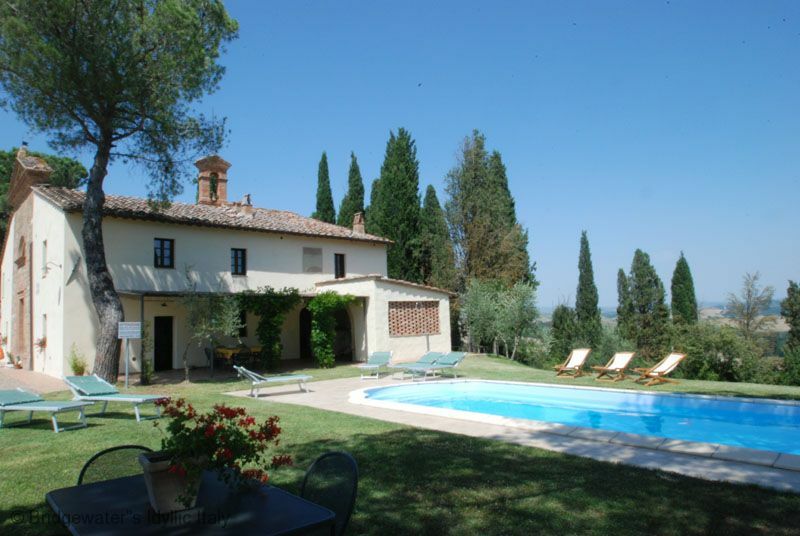 Swimming pool in panoramic position (4 x 10 meters – 1,50 deep) Upon request prior to departure, guests can also have daily maid service and chef service payable extra and on the premises. 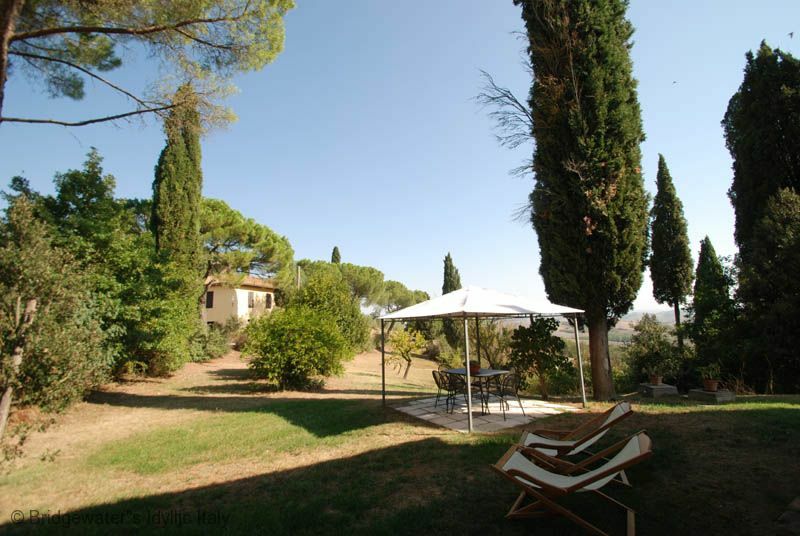 Sleeps: Independent villa sleeps 14. 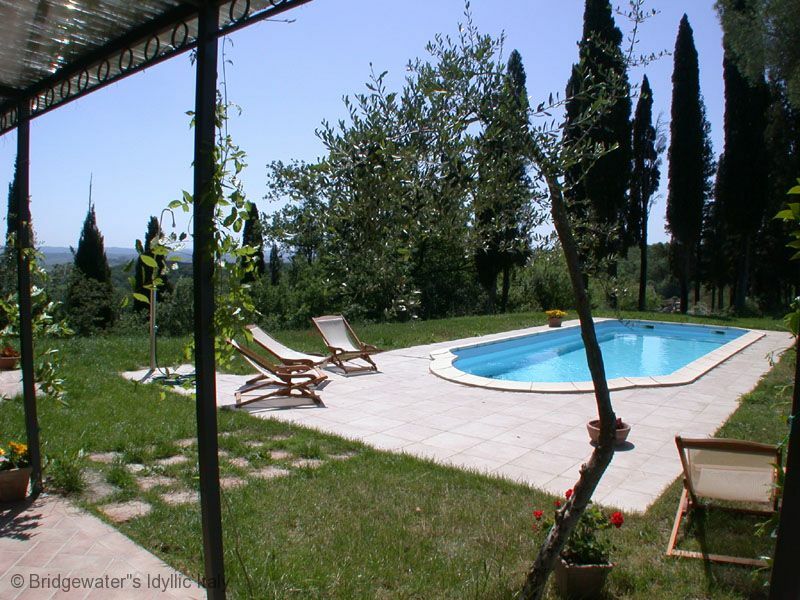  Upon request it is possible to open the pool earlier or to close it later with a weekly extra charge to be paid extra (see the price list). 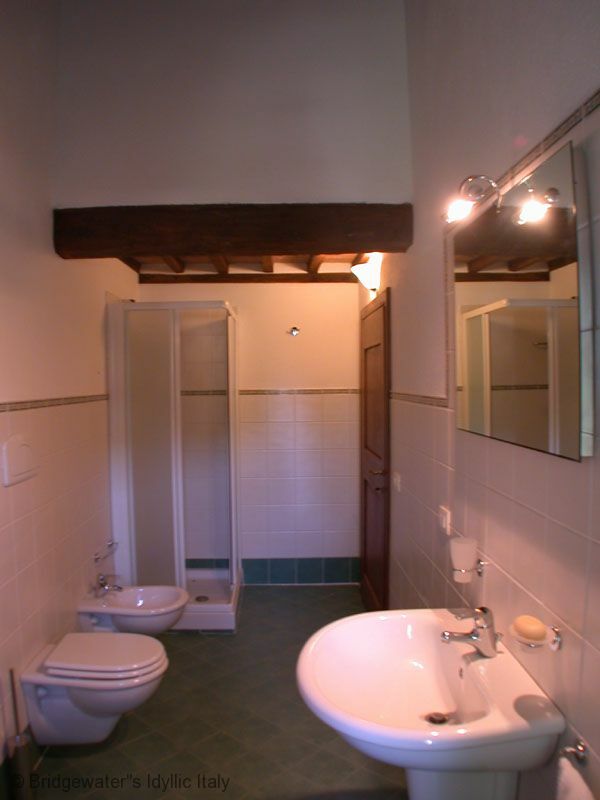  phon, iron and iron board. 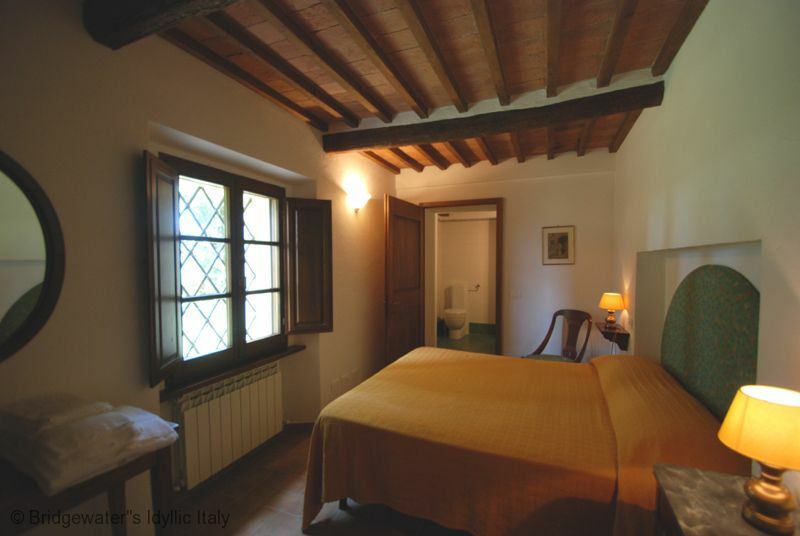  Extra bed: available on request. 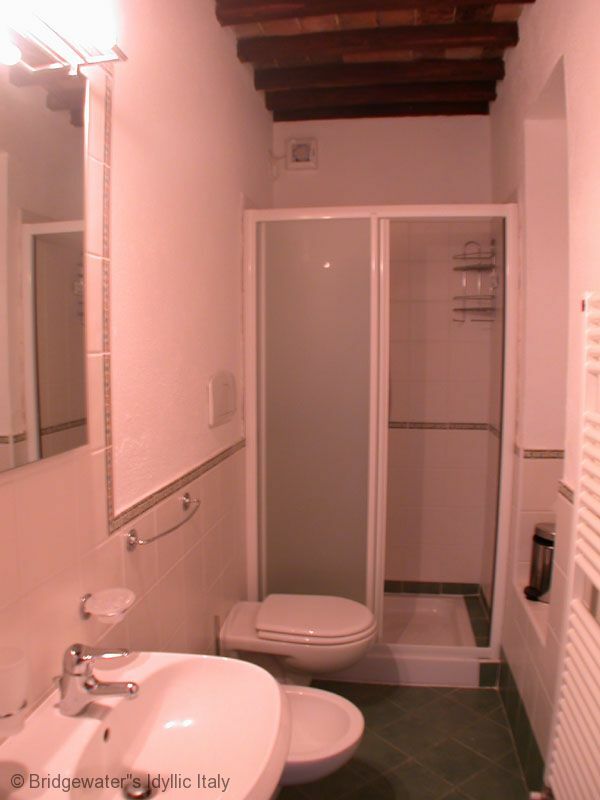 It's to be paid in advance. 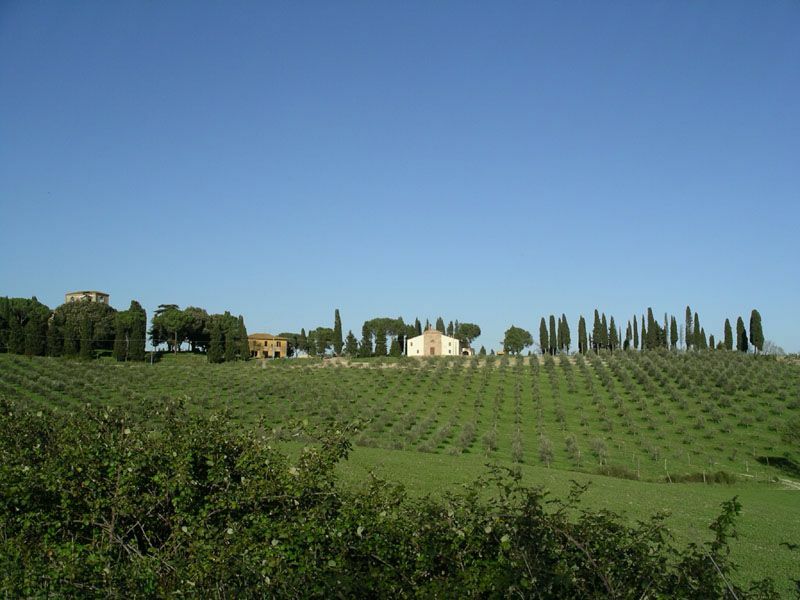 Aprox 20 Kms South of Siena. 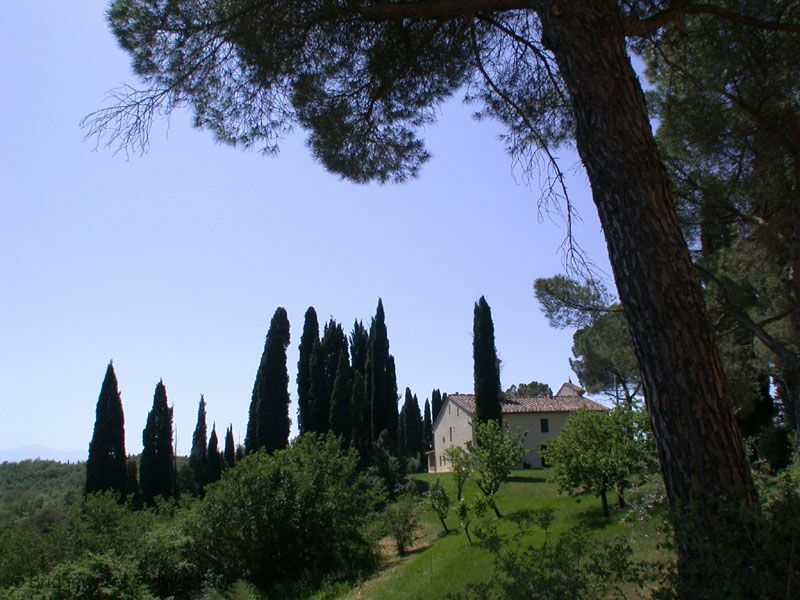 3 Km from Vescovado di Murlo with its shops, bank, restaurants and bar and 6Km from Monteroni d'Arbia.